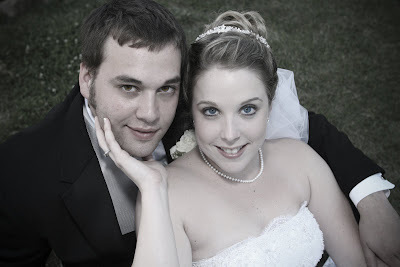 Ashley and Kevin were married at Ridge Valley Farms in Maryville. Her mother was very involved in the planning of this wedding, I think I've talked with her more than Ashley! They also were planning this from out of town, they were in Chicago both finishing up school and have since moved to Atlanta, but made a detour on their way to get married here - whew I hope I got all that right.... If its confusing for me, it must have been very hard on them to plan and execute graduating, a wedding and a move all at the same time! Thank goodness for mom. Ridge Valley was a great backdrop on a great day and the wedding was absolutely beautiful!